Laminated glass is produced by permanently bonding two pieces of glass together with a tough plastic interlayer (polyvinyl butyral) under heat and pressure. The interlayer material is invisible when viewed through the glass. With glass on either side, the finished glass is indistinguishable from monolithic glass when installed in a frame. Most often, laminated glass is produced from annealed glass, but heat strengthened or tempered glass can be used when special performance needs are required such as glass floors or stair treads. Laminated glass when made from annealled glass will break like ordinary glass but the PVB interlayer will hold it together, stopping sharp shards of glass causing injury. 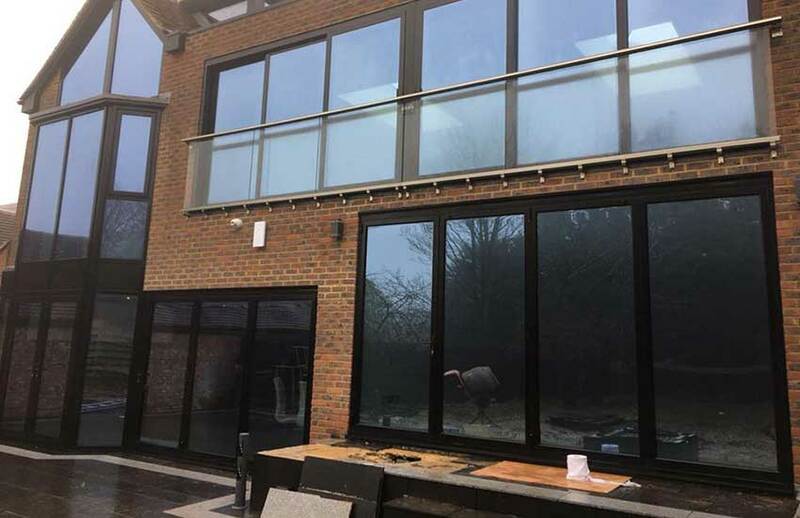 Depending on the thickness of the annealled glass used, or the thickness of the PVB interlayer, Laminated glass can be described as a Safety glass or Anti-bandit glass and by increasing the layers, a Bullet proof glass. 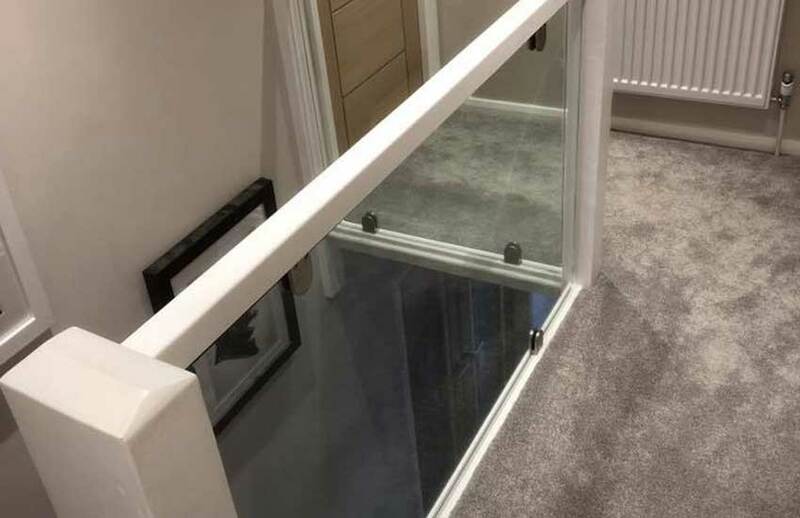 Safety glass for risk areas around the home such as doors, side panels, low level glazing and roofs. Anti-Bandit and Bullet Resistant glass for Banks, Building Societies, Accounts Offices, Post Office, anywhere where security is required. 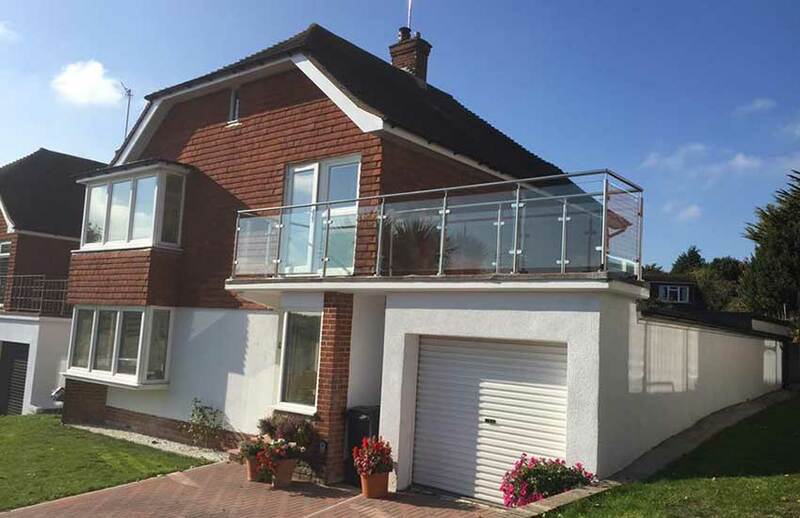 Laminated glass is also used for Shopfronts, Balcony panels, Glass floors, Stair Treads, Water Tanks and Observation windows for swimming pools.